In recent years Capcom hasn’t had a good reputation. The on disk DLC controversy of Street Fighter X Tekken comes to mind as one of the worst things they’ve done. Like many game companies lately they are forgetting to use common sense in an attempt to try to make more money. This never really effected me, however, I don’t play many Capcom franchises. Just the one actually, and it’s one I hold close to my heart. Ace Attorney. In case you haven’t heard of it it’s a visual novel series that sees you playing as a defence attorney, investigating crime sense and then presenting the evidence you find in court. It really shouldn’t work as a game but it does mostly to the amazing localisation of the game. A combination of hilariousness, drama and completely outlandish situations. There have currently been 5 games in the series released in the west, 4 games from the main series where you play as a defence attorney (Phoenix Wright in the first trilogy and Apollo Justice in the 4th game) and a spin off that has you play as prosecutor Miles Edgeworth (Phoenix’s rival). It was after the 5th game (Ace Attorney Investigations: Miles Edgeworth) was released Capcom started making some choices that started to anger fans of the series. Capcom decided to go with a wait and see approach with the sequel to Investigations. They held off on the localisation, and for the whole time I held out hope that I would get the DS game eventually. My hopes where dashed this year, however. Ghostlight is a company that localises many Atlus projects in Europe. A little while ago they released a message on their site saying how difficult it is to get approval to release a DS game now. This could just be an excuse though, they might actually just be scared to bring something out for the DS worrying that it won’t sell. It doesn’t really matter though which is the actually reason it highlights and a DS game I really unlikely to get released now. Now I can completely understand this but what gets me is Capcom’s attitude. They have pretty much been holding this game hostage. Saying that if other games sell well they would consider realising the game. They said it when they released Ghost Trick, and when they re-released the Ace Attorney trilogy for WiiWare and iOS. Another recent decision made me feel that Investigations 2 had the final nail put in its coffin. 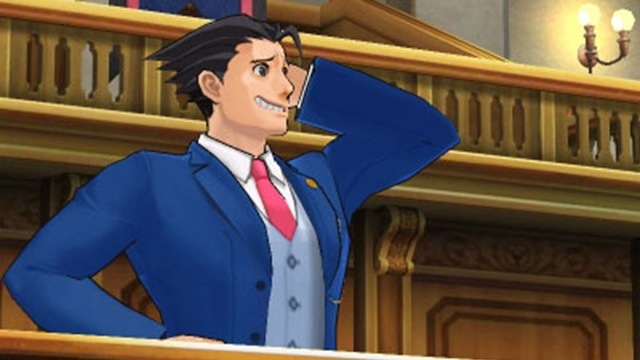 The newest Ace Attorney game would be launch on the 3DS…but only digitally. At first I found this so frustrating, but I have to understand Capcom’s stand point, they are trying to save on costs, localising this game in the first place is a risk. But, I feel that there is something they could have done to minimise this risk, even if it is only slightly. Most people have heard of Professor Layton, he has a sizeable following world wide. Before the launch of the 3DS the cross over game Professor Layton Vs Ace Attorney was announced, put simply it was the reason I got a 3DS. Disappointingly Capcom has also refused to bring this game out in the west. It seems to me that they could have brought this game out, capitalised on Layton’s popularity and this would have raised Ace Attorney’s profile at the same time. Unfortunately what Capcom has done may end up hurting both game chances at success. I’m thankful that I’m getting Ace Attorney 5 at the very least, it’s announcement for the west is at least a step in the right direction, but I’m keeping an eye on things. This is Capcom we’re talking about here. I’m expecting them to mess up on the pricing or even have the date pushed back at some point. Please Capcom try not to mess this one up.